As everywhere looks more and more like nowhere, we seek out places that make us feel as though we are somewhere. This is the key concept behind Placenotes, a wholly new kind of travel guide that highlights the buildings, landscapes, landmarks, and cultural and commercial institutions that create a unique "sense of place." Each Placenotes card has a vivid colour photograph of a featured place, along with engaging text that explains what makes the place significant and provides all the practical details people need to plan their visit. Maps, graphics, and symbols provide easy-to-understand information. 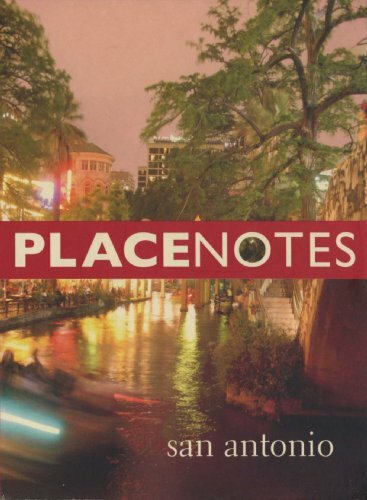 Placenotes is the creation of Kevin Keim, Director of the Charles W. Moore Center for the Study of Place in Austin, Texas. The Moore Center was founded in 1994 to advocate good places, design, and architecture. Charles Moore, a respected architect, educator, and writer, believed that "it is altogether likely that inhabitants themselves can be trusted to know where the real places on the planet are, to go to them, from Disneyland to the Athenian Acropolis, and to send postcards back when the places have spoken to them, and they perceived, with great good feeling, that they were somewhere." Placenotes could be those cards, written by local people who know the genuine places in their communities.